“Made in Forest” organic cosmetics brand Rootree is planning to promote its overseas expansion to the Vietnamese market, following the recent advancement to the market in Russia. Rootree is expected to host a brand launching event and press conference in Hannoi, Vietnam, next month. The announcement makes clear the brand’s intentions of advancing to the Asian market. Rootree signed a $420,000 contract with Goshen Korea, one of Russia’s cosmetics distributor company, as well as finalized its entrance to L’etoile, making a debut in Russian market. L’etoile is known to be the beauty shop with Russia’s No. 1, and world’s No. 3 sales volume. The shop has various premium brands in its business such as Chanel, Lancome, Estee Lauder and more. An official of L’etoile emphasized that they confirmed the future sales potential of Rootree in Russia, after six months of detailed local market analysis. As a note, Russia’s cosmetics import scale is eighth worldwide and is expected to grow annually. The reason behind Rootree being able to gain popularity from overseas market was due to three functions they incorporated to their cosmetics product: functions acquired from naturally grown tree in Jeju Island’s forest. To be more specific, the first is the antioxidant function of Korean dendropanax, second is the hydration function of Japanese cedar, and last is the circulation function of camphor tree. With these natural functions, Rootree is capable of soothing the skin. Dermatology experts recommended skin management via natural organic cosmetics product as it irritates the skin less. Rootree’s products perfectly match this theory. Recently, Rootree presented their fresh slogan “Made in Forest” to emphasize its concept of having pure Jeju Island forest’s vitality. The slogan denotes its brand philosophy of staying put as natural organic cosmetics for modern people’s exhausted facial skin due to extended exposure in ultraviolet radiation and fine dust. “Our expansion to Russian market was very successful through close market analysis. We have on-going numerous requests coming in from Vietnam currently. 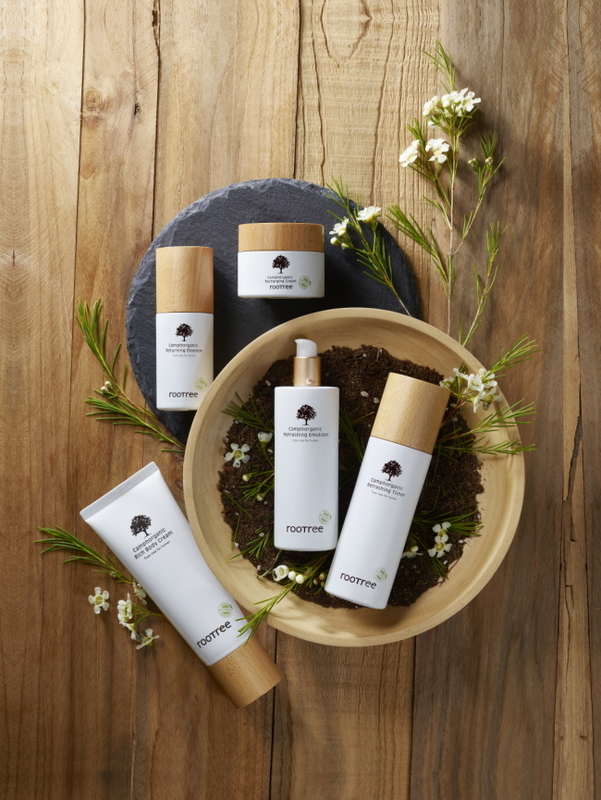 Based on this opportunity, we will strengthen our position as the global natural organic cosmetic brand,” said Kim Ji-Hwan, the chief of Rootree Cosmetics. Meanwhile, Rootree was first co-established by KT CS and KAIST’s leading venture business “Color Pink R&D” in November, 2014. The company‘s cosmetics are composed of 19 items from 5 lines which are: Camphorganic, Mobittherapy, Treetherapy, Cryptherapy and Golden Tree Edition. Rootree’s Camphorganic product line, in particular, is assessed to be outstanding after inclusion of 86 percent organic substances in the product, which is far exceeding Europe’s ECOCERT certification of 10 percent. The product is optimal in taking care of face skin since it contains nature-originated elements and organic raw materials. Moreover, the product does not use filtered water but rather a 100 percent organic chamomile extracted water, providing far better hydration effects to the customers. The steady bestseller product “Camphorganic Returning Essence” is gaining popularity, as the season switches to fall. This is because the product is adequate for use in dry weather. The essence attains 94 percent organic raw materials and 99 percent natural raw materials, leading to smoothness of skin texture and skin pores and brightening of skin. “’Rootree Camphorganic Essence‘s biggest advantage is its use of 100 percent organic extracted water rather than normal filtered water. It did not add any chemical elements known to irritate skin, such as Paraben and artificial dyes. People of all skin types are able to use the essence, and its hydration effect is always perfect,” said an official from Rootree.